Want To Do Drone Photography At A Professional Level? Drone photography has come a long way since its trend started gaining popularity and is now viewed as an important art form. If you are a fan of aerial photography/videography, this advanced FPV Drone is the best product for you! This Drone With HD Camera comes with a removable 1080p HD camera that is capable of capturing breathtaking photographs and video. 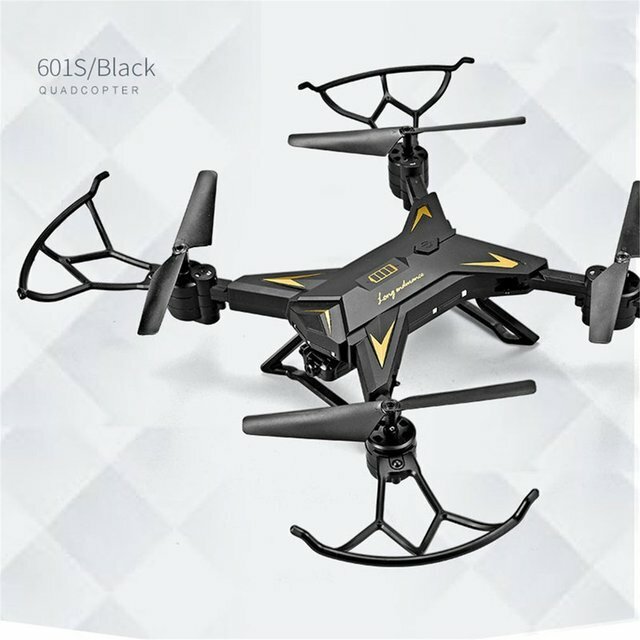 The KY601S Quadcopter ﻿is controlled with an RC controller that connects to it via your cell phone's WiFi network. Through its Drone App, you can also live stream video from it for up to an amazing 20 minutes! This Mini Drone With Camera features a very compact design that folds into itself to become small enough to be carried around in a bag. The RC controller can also be folded into a compact body, making it even more portable! Some special features of this FPV quadcopter include altitude holding, which allows users to capture clear Drone Video and photographs; one-key return to the point from where it took off; and flight track setting which gives you the freedom to define its flight path on your Smartphone's touchscreen. Furthermore, it has 3 operating speeds as well which come in handy in varying windy conditions.